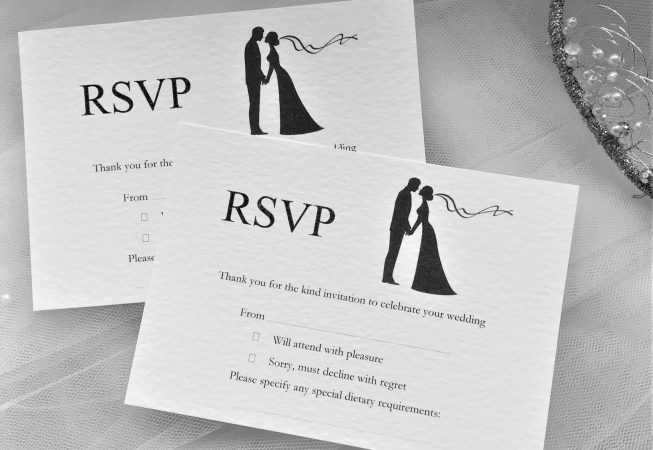 Finally RSVP Cards and Envelopes. A striking modern design available on a choice of card, printed in a font style of your choice. 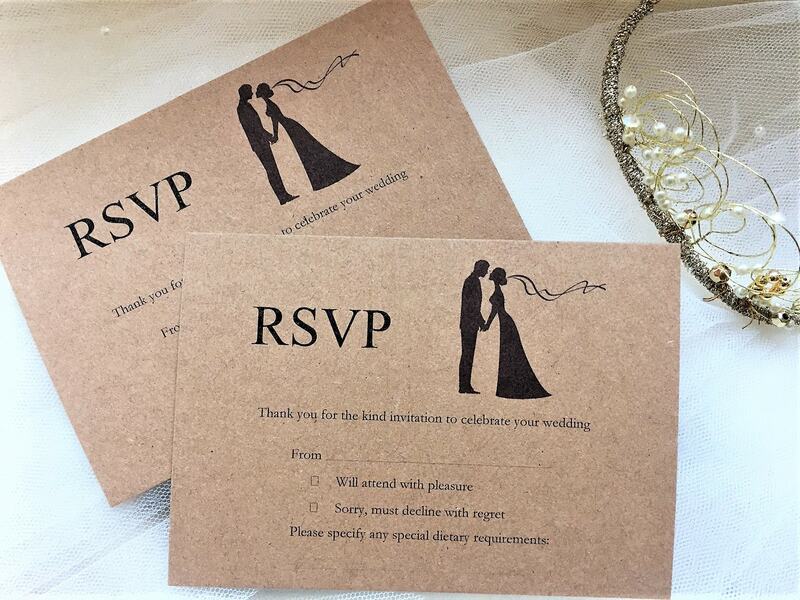 Available in white or ivory hammered card (270gsm) or, for a more rustic feel, brown kraft card (280gsm). 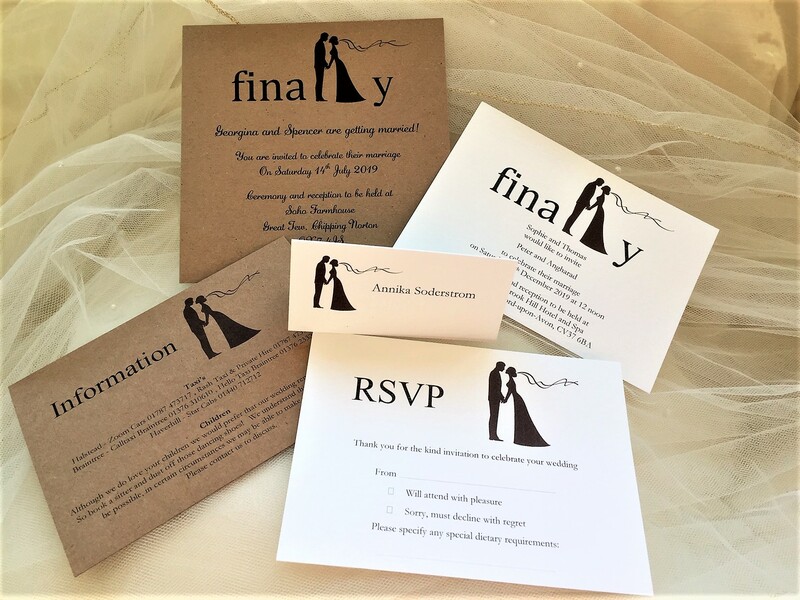 Cards are supplied with a matching return addressed envelope. 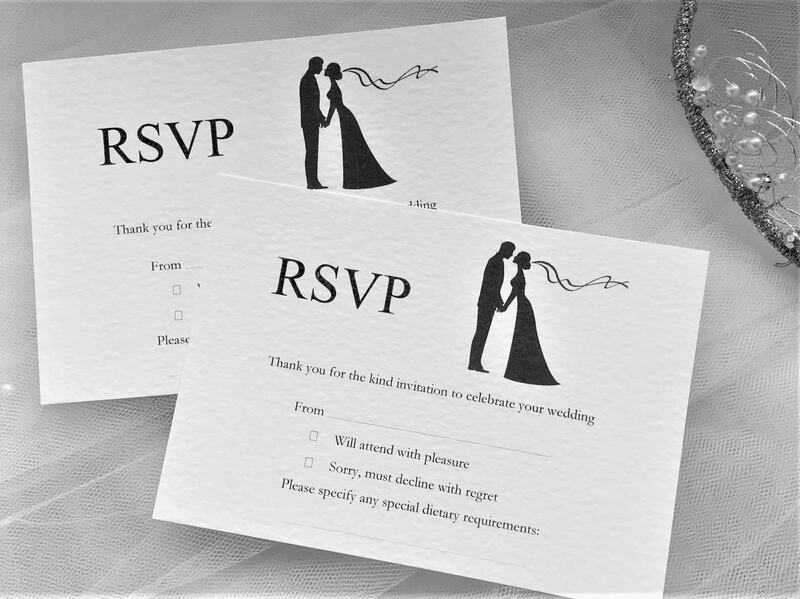 Your guests complete the card and return it to you in the addressed envelope.